Home » Why choose jet fans for car park ventilation? 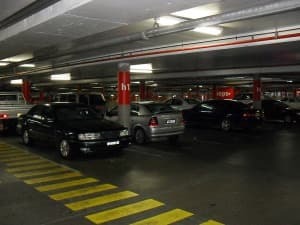 Underground or enclosed car parks need ventilation, or else they wouldn’t be very nice places to park. The build-up of car exhaust fumes such as NOx and CO would quickly become unpleasant and eventually hazardous. Such car parks traditionally used ductwork and fan arrangements to clear these toxic gases from the air, but such systems have a tendency to take up a lot of space and – if running non-stop, all day, every day – cost a fortune in energy expenditure. Jet fans are the obvious alternative. They are small, discrete and require no ducting – you only need one fan for every few metres’ floor space within the car park – and they are designed to split the car park into theoretical zones. Working with sensors, a jet fan system can identify build-up of gases in one zone of the car park, activate the necessary fans and direct the fumes toward the extract system, before returning to standby mode. Just think of the electricity saved. Jet fan systems for car park ventilation also have a dual purpose: if a fire breaks out within an underground car park, the fan system detects the smoke and activates those fans which are necessary to blow it away from people within the car park, clearing visibility for fire fighting services to carry out their work. For more on the jet fan arrangements offered by Greenwood Louvre, check out our webpage.